Allen Park General Dentistry: Cavity Fighting Gum? 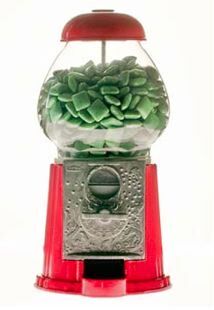 Home » Blog » Cavity Fighting Chewing Gum For Our Allen Park Patients? Cavity Fighting Chewing Gum For Our Allen Park Patients? We’re Drs. Greg & Joanne Szalai DDS of Szalai & Szalai DDS in Allen Park. Our general dentistry clients often ask us if chewing xylitol gum is an effective substitute for tooth brushing and regular Allen Park dental exams. Xylitol has other benefits, as well. Because it is low on the glycemic index, many of my Allen Park diabetic patients enjoy it as a healthy alternative to sugar. If our cosmetic dentistry patients complain about frequent dry mouth, we recommend Xylitol gum or mints to stimulate saliva production without promoting tooth decay. Now, back to the golden question. Is xylitol gum just as effective as brushing your teeth and seeing your Allen Park dentist regularly? Absolutely not! If you cannot brush your teeth after a meal, chewing xylitol gum for five or ten minutes is probably a good idea. However, you should still brush your teeth thoroughly (with a soft brush) after meals and get twice-yearly exams and oral dentistry deep cleanings at your Allen Park dentistry clinic. At Szalai & Szalai DDS, our goal is to keep your smile healthy and beautiful for life by preventing dental problems before they start. If you postpone Allen Park dental visits until you feel pain, you risk losing teeth and most certainly will require more extensive treatment than if the problem was caught earlier. Is it time for a dental exam? Call us at 313-928-2323 to book an appointment. Our caring and professional staff is waiting to take care of all your dental needs. What’s New At Your Detroit Dentist Office?